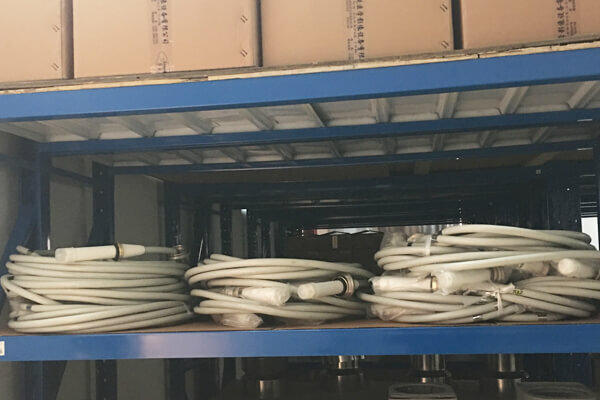 The 75kvdc high voltage cable 5m is divided into 75KV and 90KV according to the pressure resistance, which are respectively applicable to different types of X-ray machines. But the use of X-ray machines should also pay attention to some matters. When using X-ray machines, safety lines should be set, control areas should be determined, and clear warning signs should be set. Second, the preparation should be done before power connection. For the first time, the operator should read the equipment operation manual and correctly use the X-ray machine’s operation and maintenance equipment. Connect the power cord, 75kvdc high voltage cable 5m cable plug and control box respectively, and firmly connect the high voltage generator and cooling system to ensure good contact.Check whether the nominal voltage of the power supply is consistent with that of the equipment. 75kvdc high voltage cable 5m to prevent overbending. At ordinary times, it should keep the dry and clean of 75kvdc high voltage cable 5m, avoid the erosion of oil, moisture and harmful gas, so as to avoid rubber aging. Newheek 75kvdc high voltage cable 5m can be customized in length, and can also provide quality testing services.